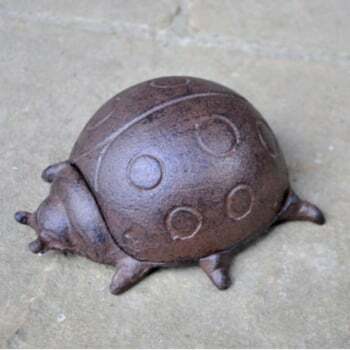 This cute ladybird key keeper from Ruddick Garden Gifts is a great way to hide your keys in the garden without anyone knowing. Place the key keeper in among your shrubs and it looks just like another ornament. Made from cast iron. Great gift idea.